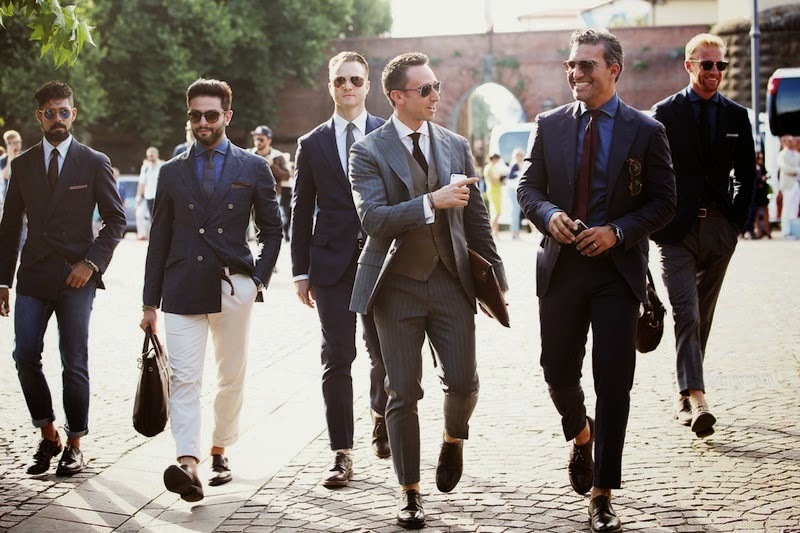 Diggin’ the cuffed up pants and slim fit everything on these boys at New York Fashion Week 2014. Every fashionable working professional needs to be accompanied with a modern laptop bag. Only she can make striped trousers with sandals look dapper. 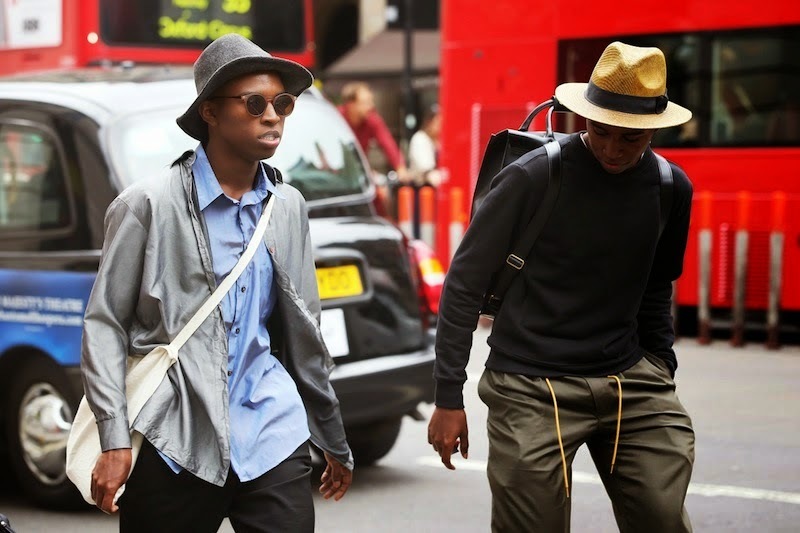 Modern, neutral, formal basics with classic black oxfords. Super polished. Picture perfect candid and loving her panama hat. Only during NYFW can you wear a gold bowtie and have it look posh. If this doesn’t want to make you buy the perfect crewneck white tee, I don’t know what will. Talk about hair game for the male, and knowing how to properly accessorize for the female. Nautical inspiration along with some casual street style. I can always appreciate a girl in overalls. OMG, such a mn crush moment I am having right now. so much inpso here in these photos/ this post! love! xO! 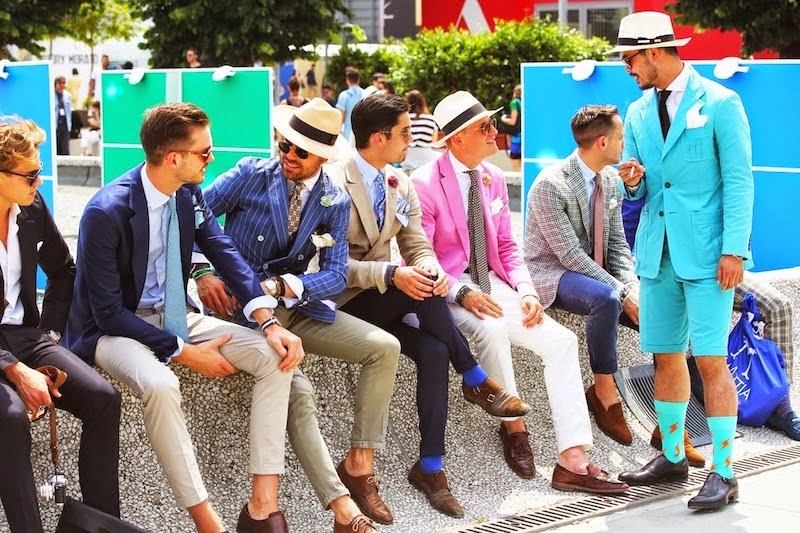 WOW, this is the first men street style post from NY fashion week I have seen! Amazing! !